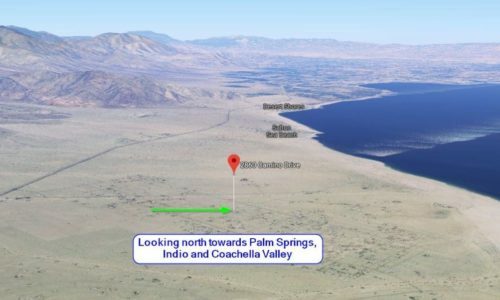 Mecca Ca – Huge 13,393 sqft Corner Lot, Coachella Canal and Mecca Hills Mtns Across St! 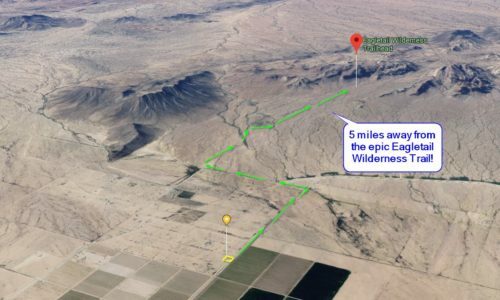 Tonopah AZ – 1 Acre Lot 1 hr from Phoenix Overlooking Farm Country and the Eagletail Mountains! 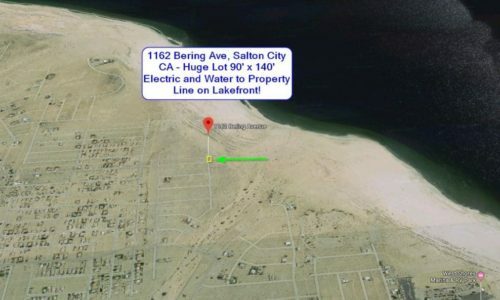 Salton City CA – Vista Del Mar Estates Lot W. Clubhouse Access and Pool right on the Water! 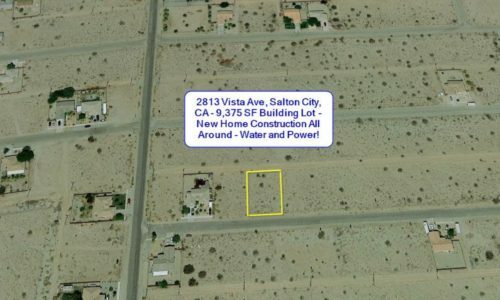 $SOLD Near Casa Grande, Job Growth! 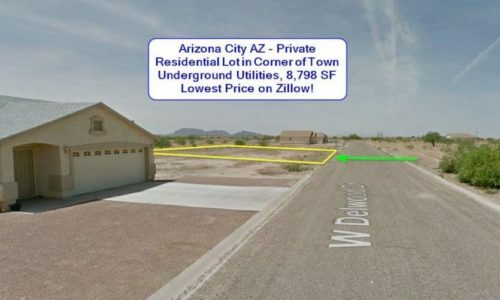 $100 Down: Eloy AZ – Buy 1 Lot – Country Living 8 mi. 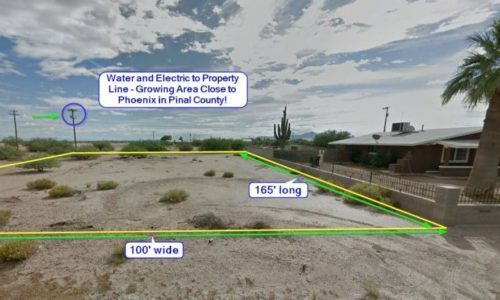 from Casa Grande, Utilities, Great Investment! 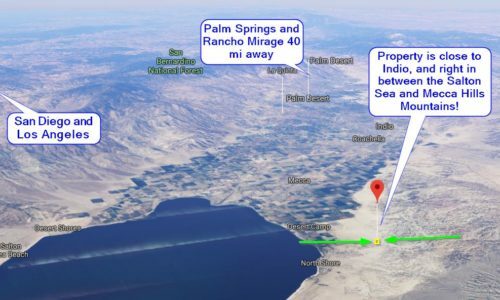 $SOLD In path of growth! 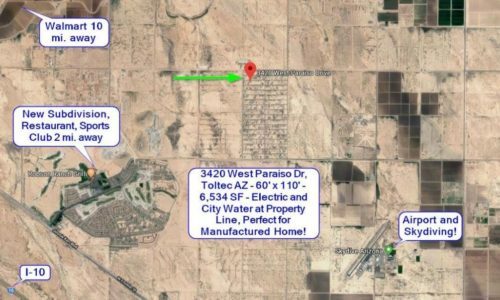 Toltec – Eloy AZ – Huge 16,117 SF LOT w. Utilities, Near Phoenix in Path of Growth! 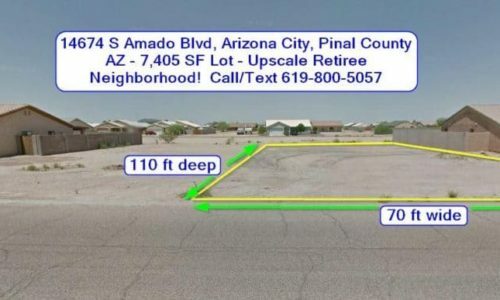 $SOLD Corner Lot, Near golf! 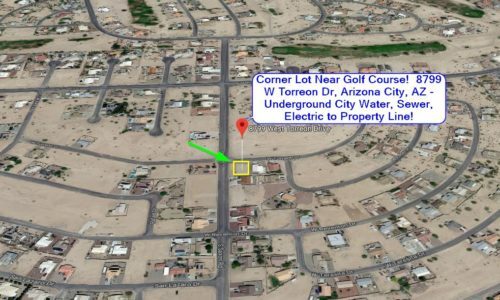 Arizona City AZ – Prized Corner Lot, Underground Utilities, Near Golf Course, Great Investment! 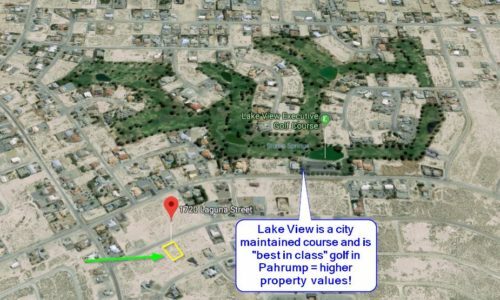 Pahrump NV – Rare Find, ½ AC Estate Lot, 2 Blocks to Golf, WATER/SEWER/ELECTRIC to Property! 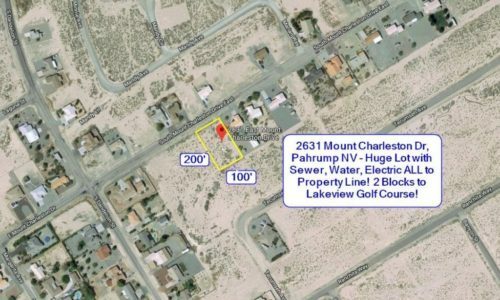 $SOLD Casa Grande Mountain Views! 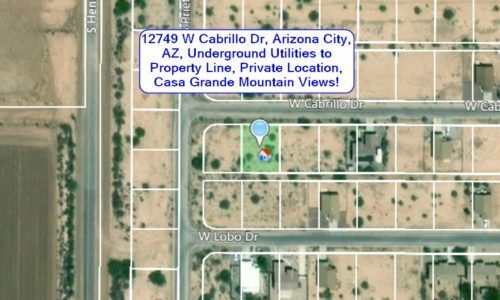 Arizona City AZ – Private Lot, Corner of Town, Underground Utilities, Front Porch Mtn Views! 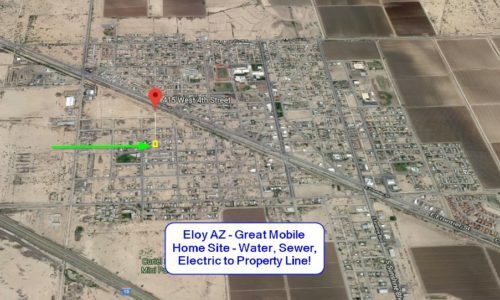 Eloy AZ – Tiny Home Lot, Sewer-Water-Power to Property Line, Escape High-Priced Phoenix only 60 Mi. Away! 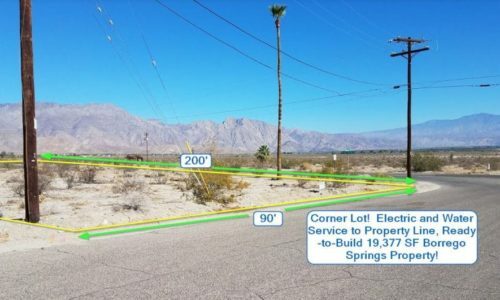 Borrego Springs CA – Desirable Corner Lot, Utilities, in Vacation Home Neighborhood Near San Diego! 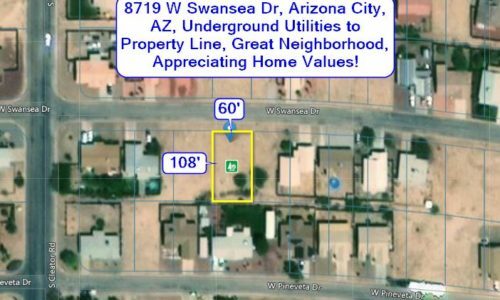 Arizona City AZ – $200 Down, Utilities, Upscale Stucco Homes, Snow Bird Neighborhood! 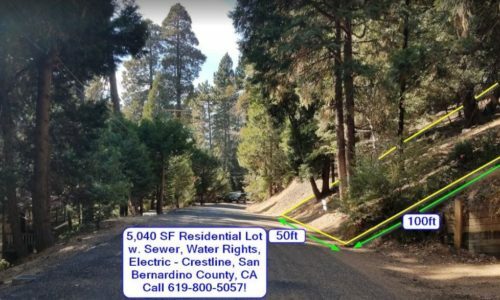 Crestline CA – 1 Mile to Lake Gregory, 5,000 SF Lot on Private Vacation Home Street, Sewer Hook-Up!